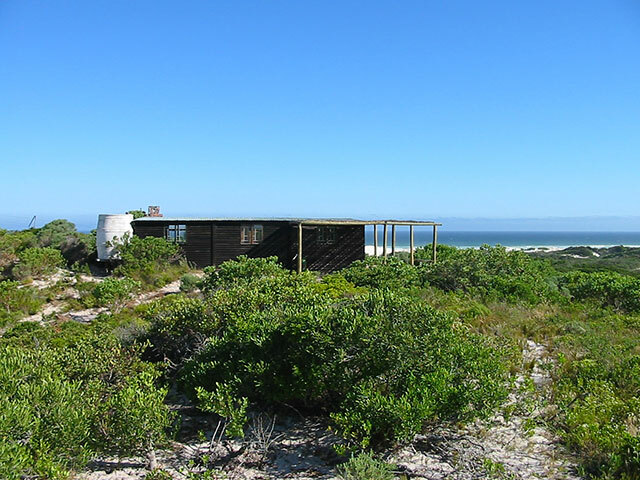 The southern part of the Overberg is a spectacle of dramatic contrasts ……. it spreads before you like a carelessly painted pattern of rich and unbelievable colours – a tapestry of nature. 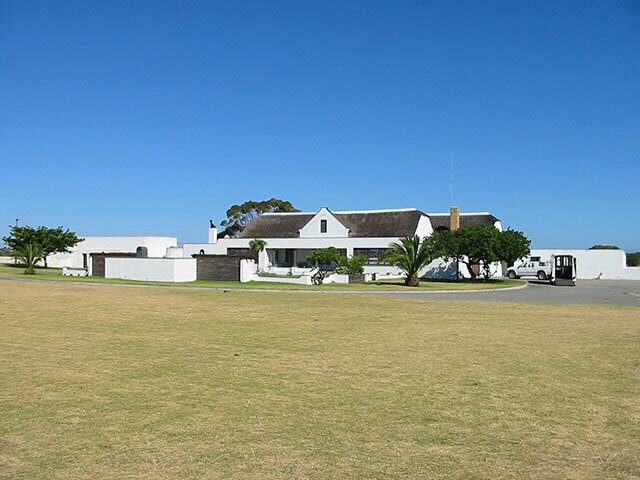 A region, which is also known as South Africa’s gilded garden of plenty with it’s agricultural variety of wheat, barley, stock and wool farming, ostriches, everlasting flowers, botanical rarities, marine and wildlife. 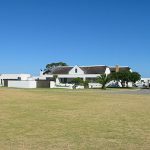 The area’s sculptured and pristine coastal stretches, edged with ribbons of glossy sand beaches sweep past Africa ‘s southernmost tip at Cape Agulhas . 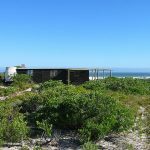 Travelling north east of Cape Agulhas and the village of Struisbaai, you find the mouth of the Heuningnes River, known as De Mond. 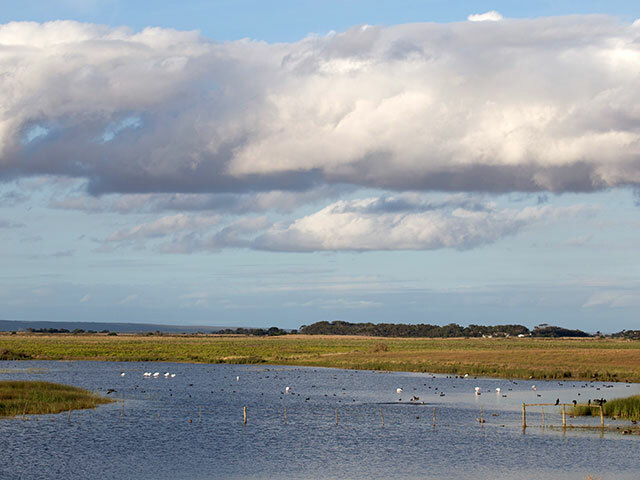 The mouth or estuary is pristine, and falls under the guardianship of Cape Nature. 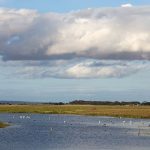 It is uniquely “Southern Cape coast” as visitors to area will testify and it has become known for it’s fantastic fishing: grunter, steenbras, leervis, elf, cob, springer and striped harder all occur in this estuary and along the coast. Birding is awesome too. The Damara terns of De Mond graciously share the estuary with Emigres, the Caspian terns, who have a breeding colony at the mouth. The African black oystercatcher is also an endangered species occurring at the estuary. 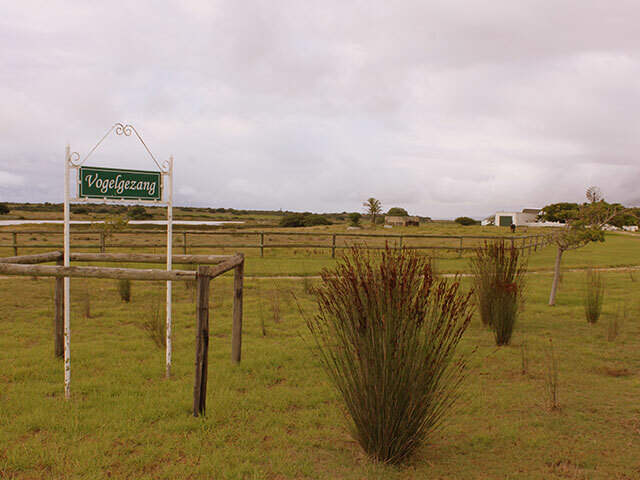 Vogelgezang Farm borders De Mond Nature Reserve and is approximately half way between the villages of Arniston and Struisbaai – only a 2 hour drive from Cape Town. 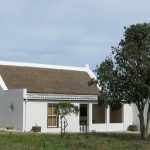 The farmstead, built in the early 1740’s lies in the middle of 1600 hectares of agricultural lands, milkwood groves and limestone fynbos. 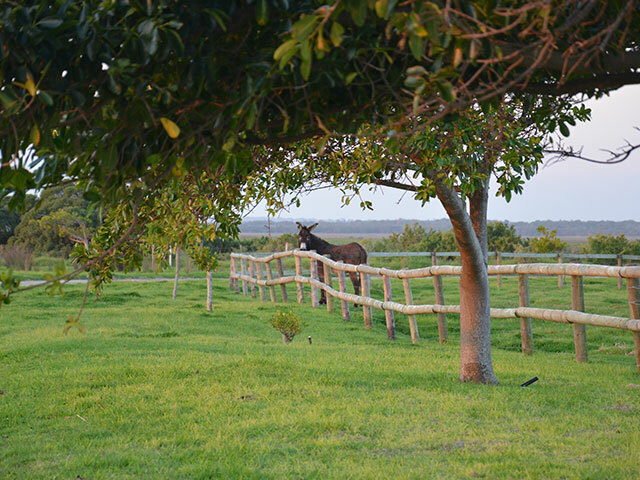 Agricultural lands are farmed with wheat and canola as well as providing grazing for sheep and cattle. 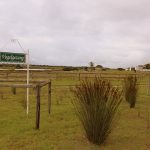 Preservation of world renowned fynbos flower varieties, wild flowers and growing restios forms a large part of our farming and conservation activities. 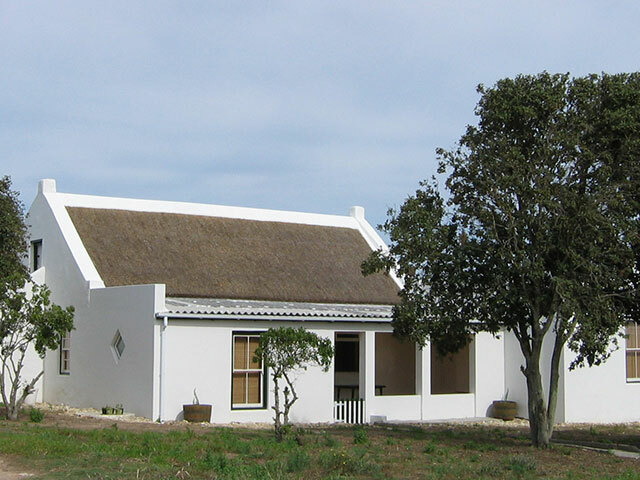 The farm offers various country-style cottages in the form of a comfortably appointed thatched cottage, a beach cabin and an old beautifully restored cottage with an annex. 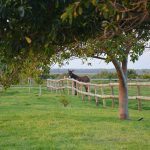 Guests can relax in the tranquility of our beautiful farm, taking in the “cacophony” of the incredible birdlife – blue cranes, flamingoes, black harrier, coots are amongst the many birds to be seen in the vlei and fields on the farm. Afterall … “Vogelgezang” means “bird song”.